"I cried. That was really emotional to me. The owner told me she’d never seen him run in three years." Peanut is 3 years old, but in a sense, his life is only now just beginning. 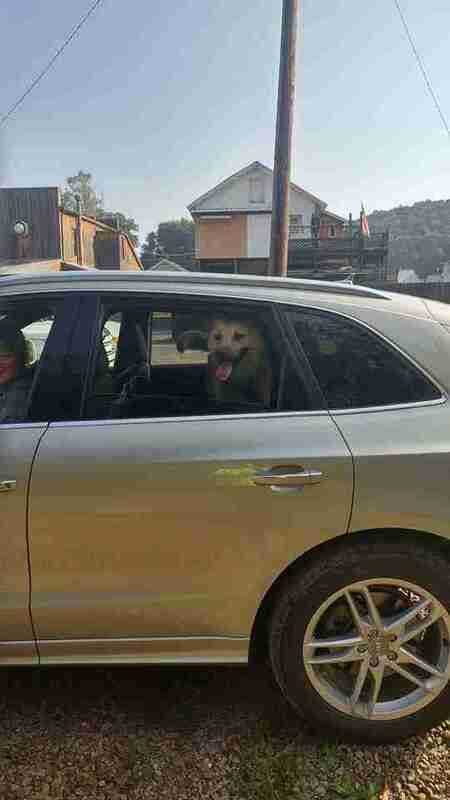 Since he was a few months old, the sweet dog had been kept tethered in the backyard of a home in rural Pennsylvania. His owners lived on the property, but they offered him no real love or companionship. All Peanut knew of the world was limited to what he could reach from the short, heavy chain around his neck. 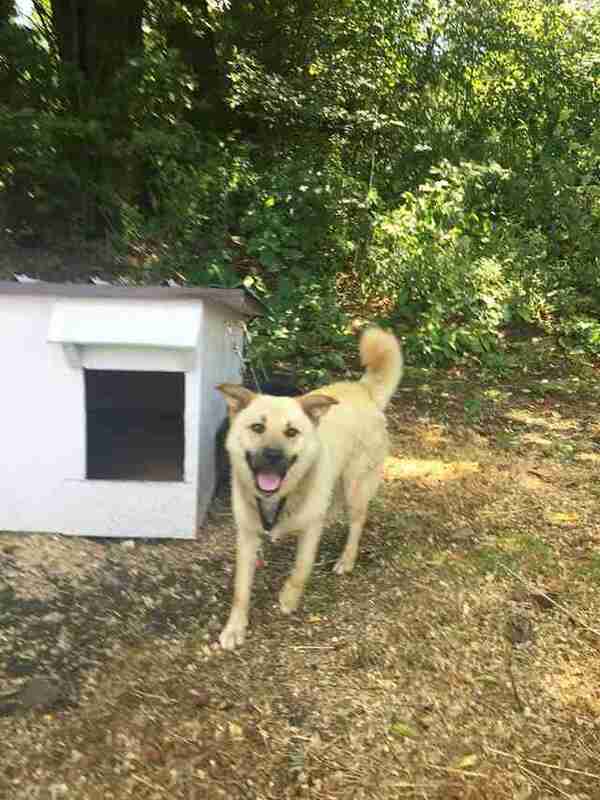 Folks living in the area became aware of Peanut's depressing situation after a fence surrounding his yard toppled over, allowing a glimpse inside. The authorities were alerted, but nothing seemed to be done about it. Eventually, word spread to HOPE for Erie Animal Wellness, a rescue group outside of the area that works to improve the lives of chained up dogs. That's when Russelline Steinbuhler first learned about Peanut. 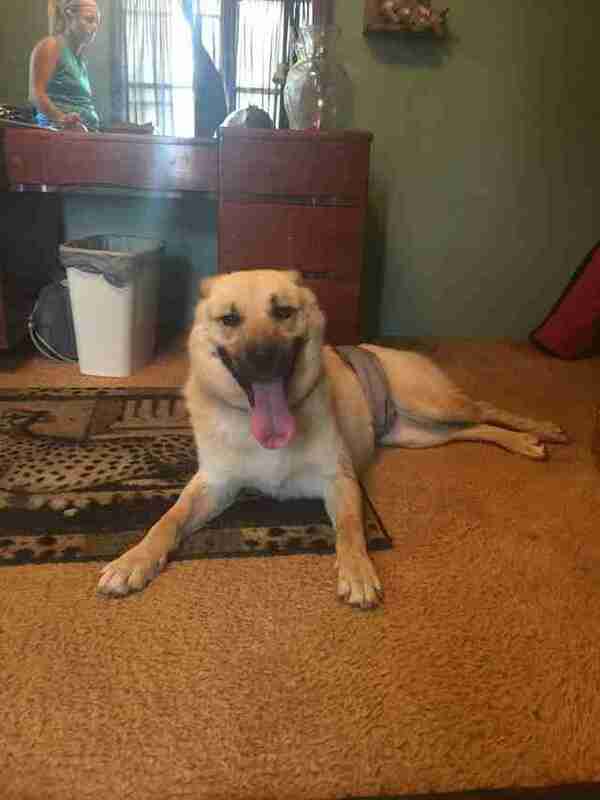 "My daughter volunteers with HOPE, and they got a lot of calls about this dog, but it’s too far for them to go. They're about an hour away, and nobody could make the commitment to get to that dog all the time," Steinbuhler told The Dodo. 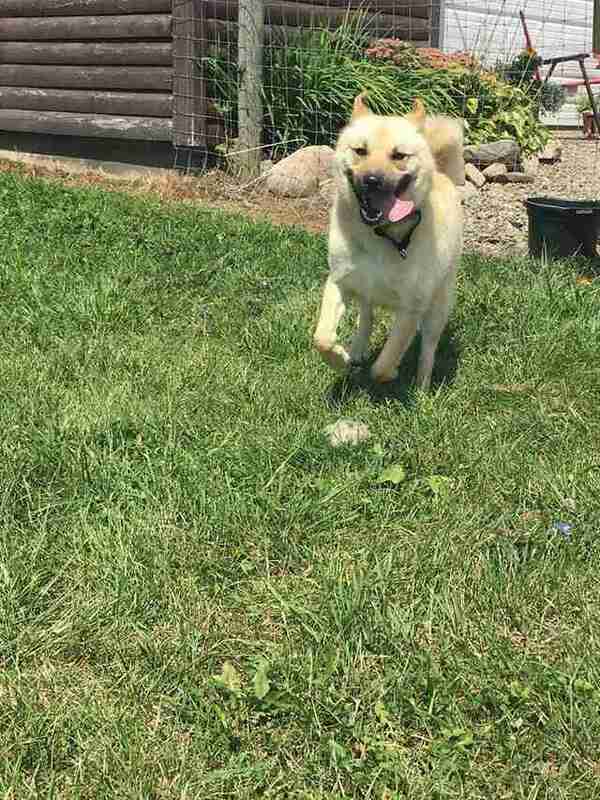 It's just a short drive from Steinbuhler's home to Peanut's, so she went to see his situation for herself — and ultimately decided to get involved. "I went out and took a look. 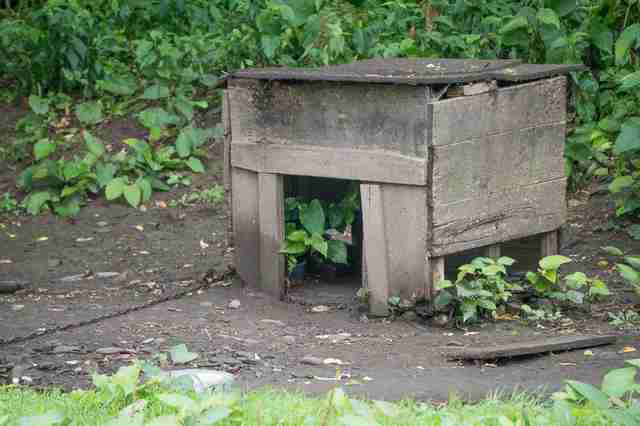 Peanut had a dilapidated doghouse. The roof had holes in it. The floor was rotted out. He didn’t have much to shelter him, and we had a really wet spring. He was laying in water because he couldn’t get out of it. I love animals, so I said, ‘I’ll take care of the dog. I’ll spend time with him.’ And I did." Steinbuhler approached Peanut's owners to offer help in making Peanut's life better. 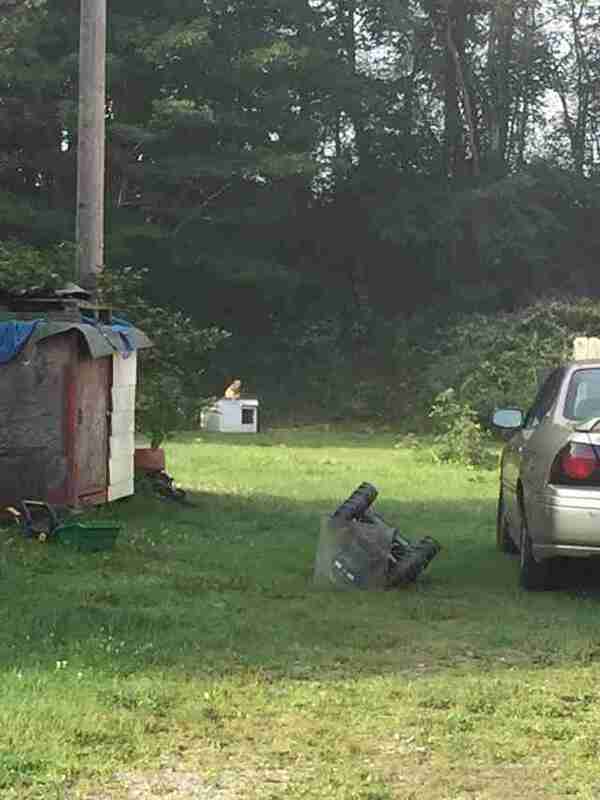 The family admitted that the dog had been kept his whole life chained, likely not out of malice, but more due to an old way of thinking about pets and a lack of education to what is appropriate today. To them, it seemed normal to keep Peanut outside tethered that way. "A lot of people in this country grew up with dogs on chains. Especially in rural areas. It’s passed down still," Steinbuhler said. "Not everybody has decided that it’s better to have dogs inside." Still, Peanut's owners accepted Steinbuhler's ongoing assistance. HOPE provided their support and guidance along the way. "We started off by giving Peanut a new dog house, new bowls, a new tether and a new collar," Steinbuhler said. "The new tether was long enough that he could reach some grass to lie down. When we showed up the next time, he was really enjoying the grass. He was smiling. It was like he was a different dog." Peanut was more comfortable in body, no doubt. But over the next two months, Steinbuhler worked to comfort his spirit as well. He had had such little interaction with anyone, he didn't even know his own name. "I made a point to go out there several times a week. Sometimes seven days a week," Steinbuhler said. "I’d show up and spend a half hour with this dog. When you first start showing up, he was so overexcited about somebody acknowledging him. He wanted to jump on everybody. Nobody spent any time with him. I would show up with treats and make him sit to get pet. He was a fast learner. He’s smart. We just started doing some obedience stuff. We’d play games. He loved playing fetch." Peanut was still tethered in that shadowy corner of the yard, but thanks to Steinbuhler, rays of hope were beginning to shine through. 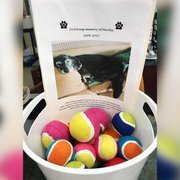 Although attitudes about how dogs should be regarded have been slow to change in too many cases, they were recently given the push they needed. This week, a new law went into effect in Pennsylvania limiting the amount of time a dog can be kept tethered. When informed of that by Steinbuhler, Peanut's owner agreed to surrender him to HOPE rather than change the way they were treating him. And with that, Peanut was finally free. Never again would this dog be chained — and this was just the beginning. 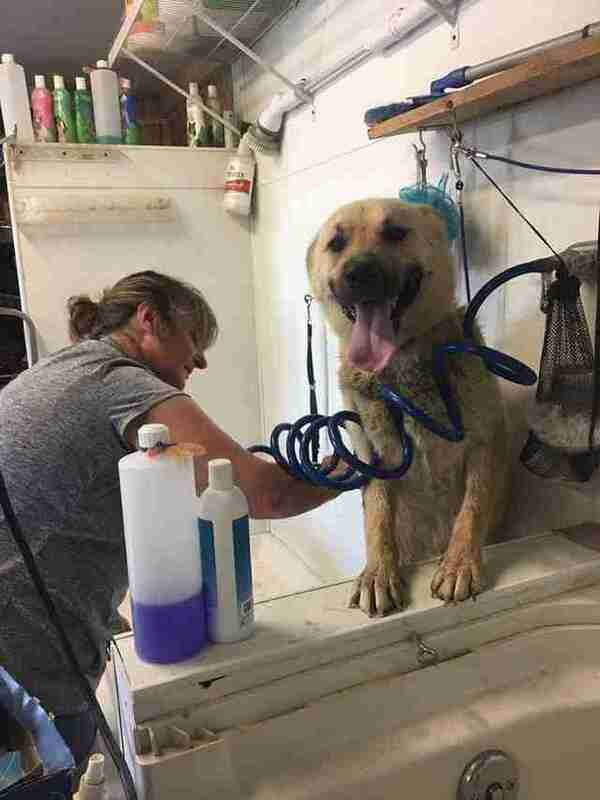 After liberating Peanut from his former life, Steinbuhler brought him to Critter Camp and Cuts for a bath. Perhaps his very first. He enjoyed that part, but the best was yet to come. 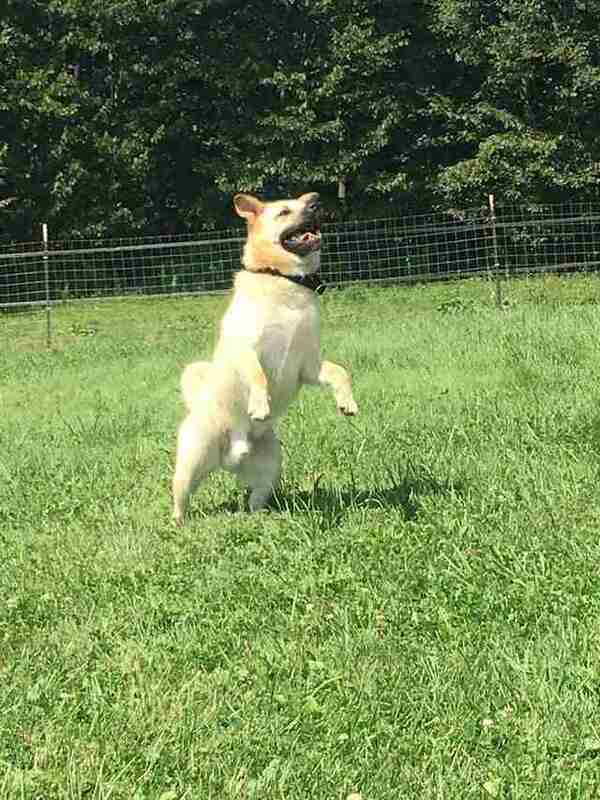 There's a fenced-in yard outside the facility where Peanut was let loose to do something he'd never done before in his life: move freely. "I cried. That was really emotional to me," Steinbuhler said. "This dog never got to run. The owner told me she’d never seen him run in three years. Imagine never being able to run. When I let him loose, he was so joyful. He did the zoomies." Peanut's smile said it all — this is what the world is really like. Things will continue to get better for Peanut after his lifelong ordeal. Now, he's learning to adjust to life as a pet and has a foster family to teach him what it means to be cherished and loved. His rescuers wouldn't have it any other way. "HOPE protects those animals for the rest of their life. He’ll never live on a chain again. It’s night and day," Steinbuhler said. Peanut's conditions at the beginning of his story are, sadly, far from unique. While tethering laws do exist in many parts of the country, enforcing them often isn't a priority for law enforcement. Steinbuhler hopes that raising awareness about these situations will inspire others to get involved where possible. Sometimes, that requires making a connection with a dog's owner to convince them to do what's right. 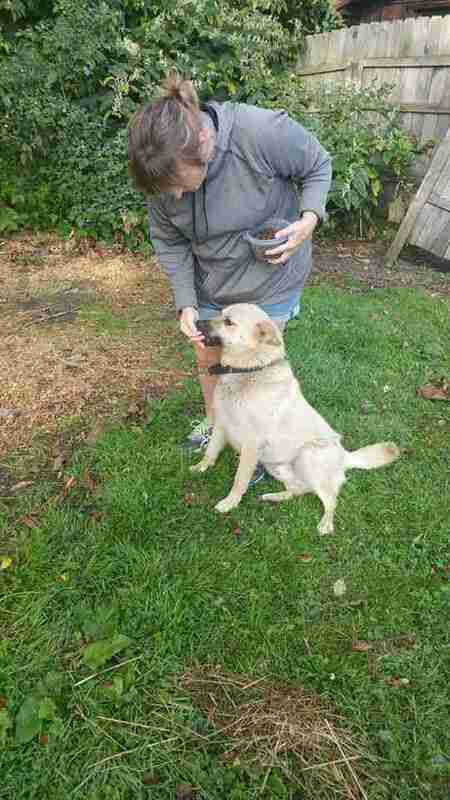 "Peanut's owner loved him enough to let him go. There’s something to be said for that," Steinbuhler said. 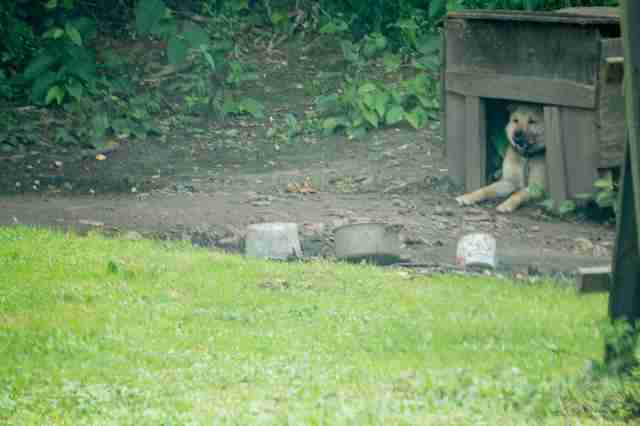 "But I know there are a lot more chained dogs out there, and I hope the country wakes up. Think about living your whole life on a chain. That’s not a way for them to live. Get them off the leash and spend time with them and they’ll be happy." To learn more about HOPE for Erie Animal Wellness, or to make a donation, visit their website online.